When a pedestrian is struck by a motor vehicle, they can sustain multiple injuries including pelvic fractures. Imagine you are out for a leisurely walk to enjoy the beautiful weather, and suddenly a car deviates from the road and strikes you on the sidewalk. While no one would ever want to be in such a situation, this happens more often than we think, and hundreds of pedestrians suffer serious injuries and fatalities in such accidents each year. While occupants of a car are protected by a strong metal body, pedestrians on the road have no protection against a heavy piece of metal moving towards them at a high speed. When a pedestrian is struck by a motor vehicle, they can sustain multiple injuries including pelvic fractures. In this post, our St. Louis auto accident attorney will discuss how pedestrians are at a high risk of suffering pelvic fractures. 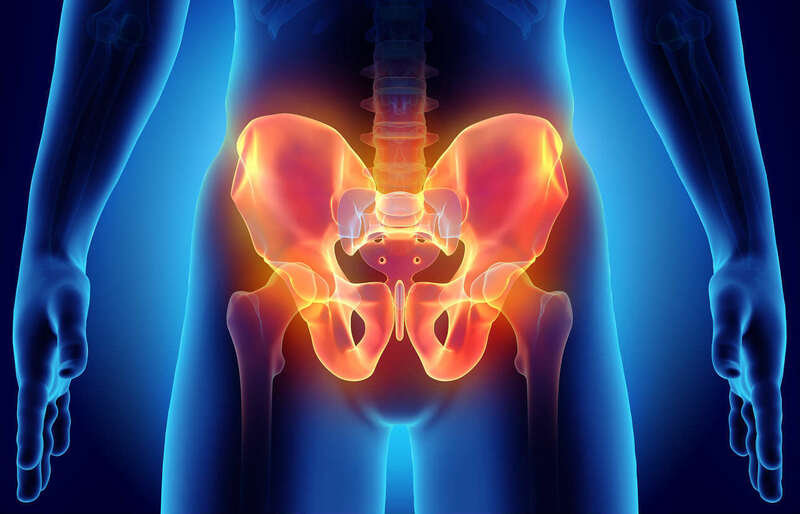 How do pedestrians suffer pelvic fractures? When you stand next to a car, its hood comes up to the level of your hip, and this is where our pelvis is located. Whenever a vehicle collides with a pedestrian, it is generally the hood that strikes first, and due to the fact that the hood approaches the hip on most people, the chances of a fracture in the pelvic area become high. When a motor vehicle impacts a pedestrian at the hip level, it can inflict damage to even the strongest of the bones. In fact, even if the vehicle is traveling at low speed, the impact of the collision is strong enough to cause pelvic fractures. Cars are heavy, large objects, so there is always a chance that someone who is struck by it will suffer more injuries than just a pelvic fracture. The risk is even greater in the case of children, because they are much smaller, and have more fragile bones compared to adults. Children who are hit by cars are at a great risk for developing pediatric hip injuries. A pedestrian who is a hit by a motor vehicle is also at risk of serious bleeding. When a person suffers a pelvic fracture, some of the major arteries such as iliac and femoral arteries can be severed. There are several important nerves in the area such as the obturator and sciatic nerves that can be severed when there is a pelvic fracture. The pedestrian can also suffer internal organ injuries such as spleen and liver injuries. When someone develops a nerve injury along with a pelvic injury, there is a chance that they could develop motor or sensory deficits. The patient may require rehabilitation to prevent permanent damage. The injured person is also at risk of developing serious infection particularly if the fracture is open or the patient has to undergo a surgery. The person may also suffer other fractures such as leg fractures and may require additional treatment, and may need to re-learn how to walk. If you have sustained a pelvic fracture in a car-pedestrian accident, you should consult a competent St. Louis accident lawyer at our law office to get help with the recovery process. Call us 24/7 at (314) 361-4242 for a free consultation.